The 1 Color 1 Station Silkscreen Press is the perfect entry level silkscreen press. It is portable and require very little workspace. Perfect for your garage or any room in your house. The tilt adjustable bracket ensure that you get a level screen every time! The frame is constructed in heavy duty steel to allow maximum usages. View More In Printing Presses & Accessories. 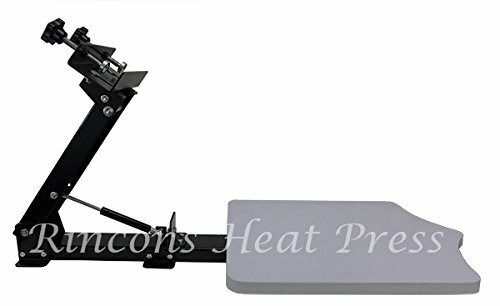 If you have any questions about this product by Rincons Heat Press, contact us by completing and submitting the form below. If you are looking for a specif part number, please include it with your message.